Now Choose Table attributes as per requirement. Convert table(s) definitions only: Check this option, if you want to convert table structure only. Skip converting indexes: Enable this option, if you do not want to convert indexes. Converting Views: Enable this option to convert views. 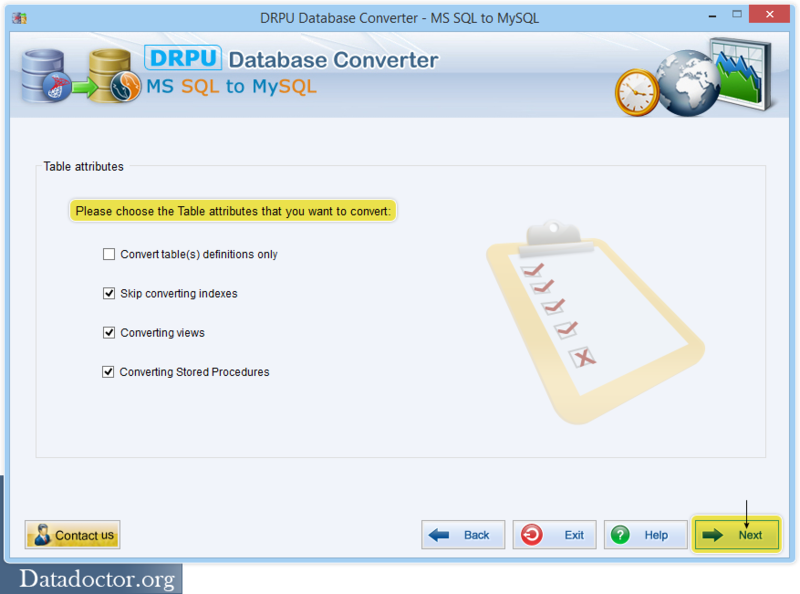 Converting Stored Procedure: Check this option to convert your stored procedure. 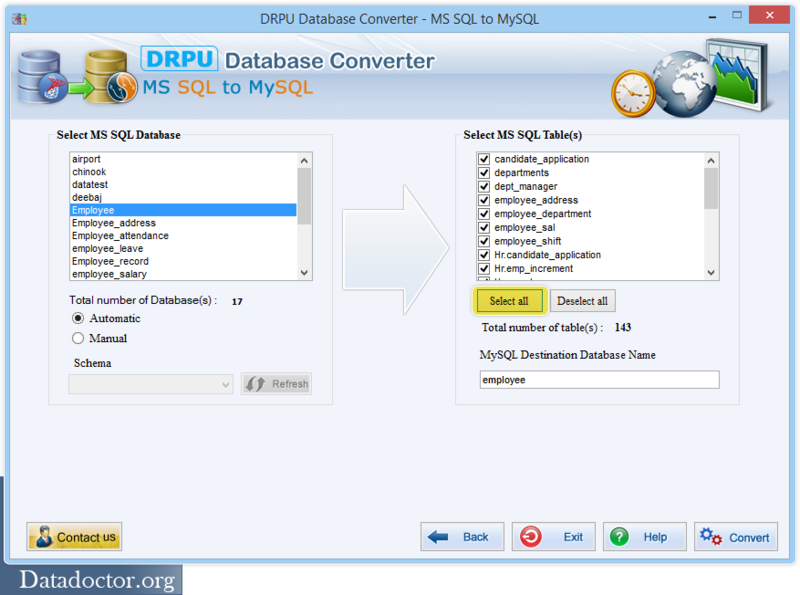 Select your MS SQL database. By default automatic option is checked, if you want to select your own schema go to manual option and choose desired schema. 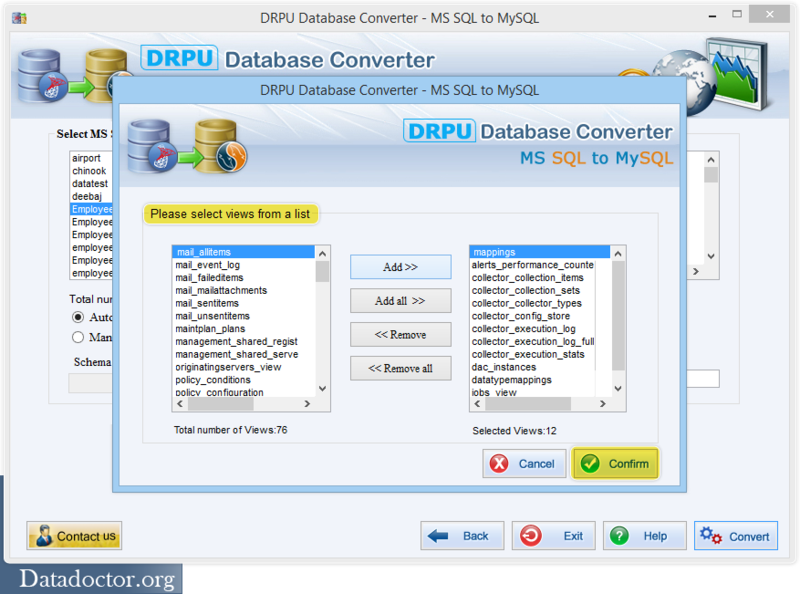 From the right panel, select tables that you want to convert. 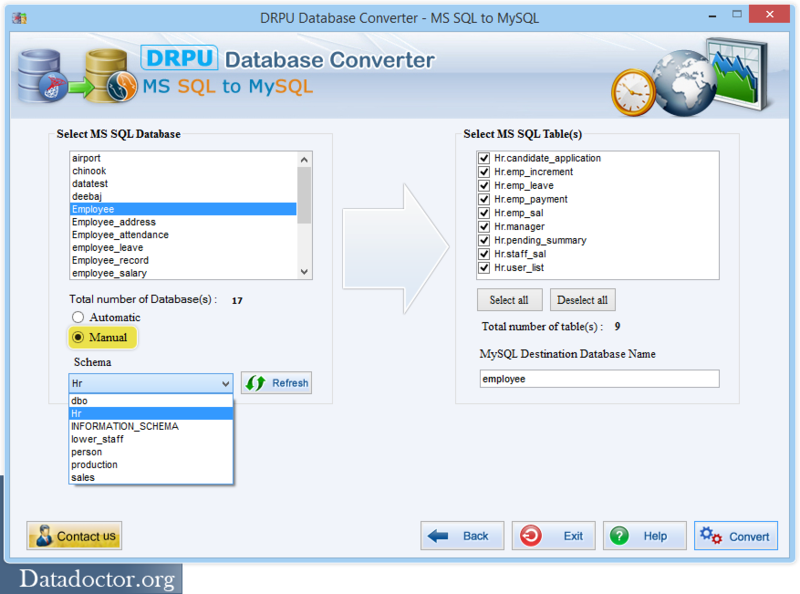 Write name for your Destination Database. Above screen displays, enabling of Manual option to choose desired Schema from the dropdown list. 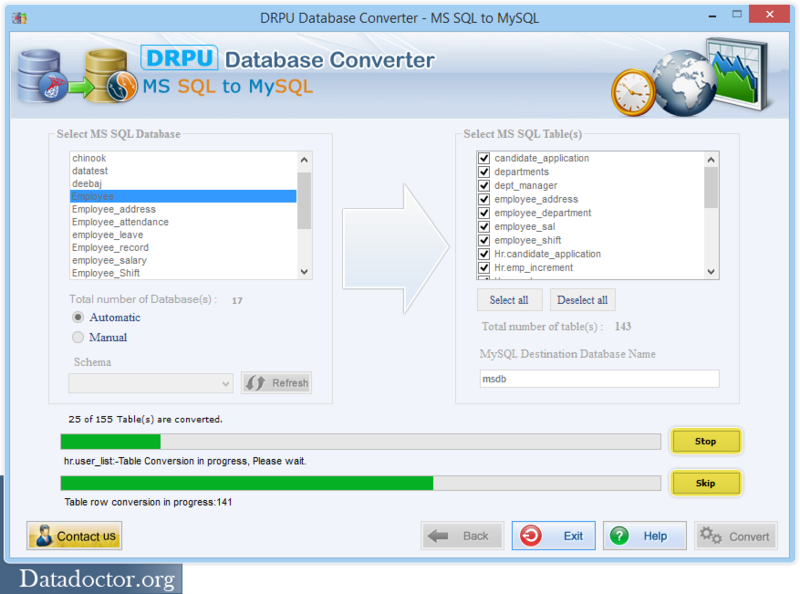 After doing your selection, click "Convert" button to proceed. Add views that you want to convert and Click confirm to proceed. Above screen displays on going conversion process. You can abort the process by clicking "Ok" button or skip tables by clicking on "Skip" Button. 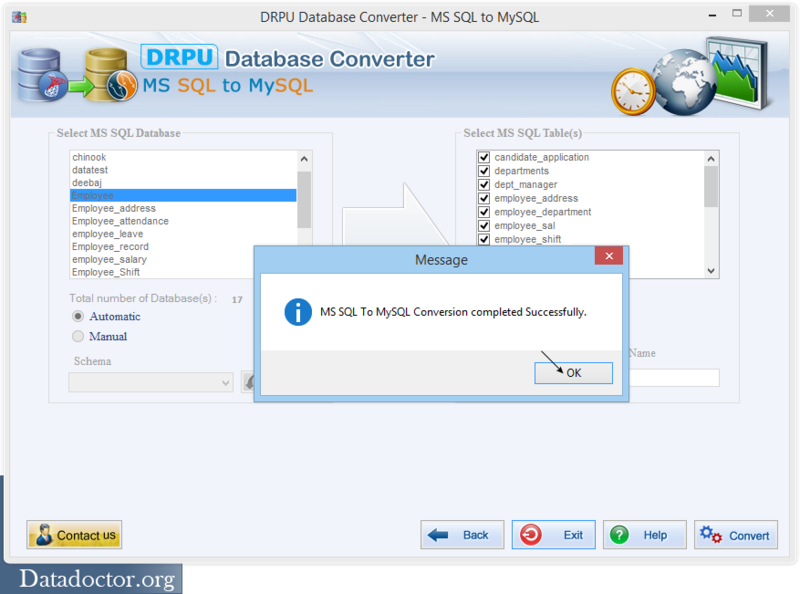 After conversion, a message will display "MS SQL to MySQL Conversion completed Successfully".